This is Matt. He makes chairs. 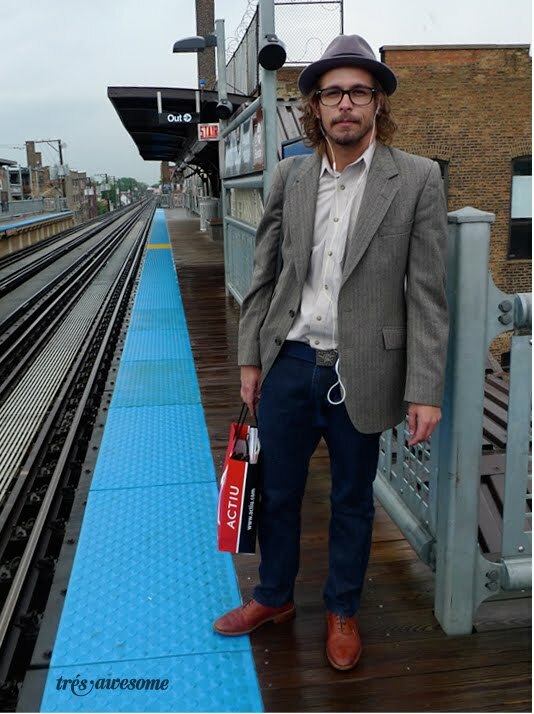 And he makes just listening to MGMT on the Brown Line look good. It’s probably the fedora. Or the long hair and glasses. Or the rust oxfords. Or the bag from NeoCon (the design convention, not the conservative political movement...obviously) Or it’s the whole deal. He’s an architect and designer, so he knows how to put it all together. It’s his job. Nice work, Matt.